Hemp is a word that draws some controversy. It is used to refer to products made from the Cannabis plant, not including the drug marijuana. The fiber, oil, and seeds of the Cannabis plant can be used to make many hemp products including foods and beverages, but also non-food materials, like rope, fabric, and paper. Hemp products are legal, because most of THC has been removed or because they have been made from plants with low THC content. THC is the compound in marijuana that has psychoactive properties. Used by humans for nearly 10,000 years, hemp is one of the world’s oldest agricultural products. It was first harvested from wild cannabis plants and then domesticated, as were other plants like cereal grains. The variety of the cannabis plant that is used for recreational and medicinal marijuana is low in fiber, while the variety used for hemp products contains good quality fiber. It is this fiber that makes hemp useful for so many different materials. The seeds of the hemp plant can be eaten and are very nutritious. They can be eaten raw or ground into a meal that can be used for baking. The seeds can be made into a milk substitute, soaked to make tea, or sprouted. Much of the hemp seed is made up of oils, including omega-3 and omega-6 fatty acids. They also contain a significant amount of protein, fiber, and a number of vitamins and minerals. Most of the world’s hemp is currently grown in China, although other significant producers include Chile, Europe, and Canada. The United States is the largest importer of hemp. You can find edible hemp products in most health food stores or order them online for delivery. You can incorporate hemp seeds into any number of foods, including smoothies, for added health and nutrition. Hemp seeds and their many by-products are nutritional powerhouses. Each seed is approximately 44 percent oil, 33 percent protein, and 12 percent fiber and carbohydrates. The rest is moisture. In addition to these macronutrients, hemp seeds have vitamins, important trace minerals, and phytosterols. Omega-6/Omega-3 Fatty Acids: Omega-6 fatty acids are dominant in most vegetable oils. Not many contain enough omega-3 fatty acids, however. Health experts agree that we need to consume both of these fatty acids and that for optimum health, we should eat them in a ratio of four to one. Most people are getting too little omega-3 and consuming a ratio closer to ten to one. Recent research indicates that this off-kilter ratio is causing cardiovascular diseases, arthritis, diabetes, and other illnesses. The ratio of omega-6 to omega-3 in hemp seeds and oil is three to one. This overachieving ratio can help you to offset the fact that you likely consume too much omega-6 in the rest of your diet. Skin Relief: In addition to the omega fatty acids, hemp seeds and oil contain some fats that are even more difficult to find in other sources. These are gamma-linoleic acid (GLA) and stearidonic acid (SDA). These are considered to be “super” polyunsaturated fatty acids and they have been shown in research to relieve symptoms of certain skin diseases including dermatitis. Be aware, however, that the amount of GLA and SDA in hemp seeds varies quite a lot. GLA: The benefits of consuming GLA do not end with your skin. Getting enough of this fatty acid found in hemp seeds may also increase your metabolism, reduce the symptoms of PMS, improve the condition of hair and nails, lower levels of bad cholesterol in your blood, and decrease inflammation in your body. The latter is of particular benefit to those who suffer with asthma, multiple sclerosis, arthritis, fibromyalgia, and other inflammatory diseases. Protein: Hemp seeds are an excellent source of protein, which makes them particularly useful for vegetarians and vegans. They contain nearly the complete set of amino acids, the building blocks of protein that are found in meat and dairy. The only plant source with a more complete protein profile is soy. The type of protein found in hemp seeds is easy to digest and absorb, and is better utilized in our bodies than the protein found in soy. Immunity: Eating hemp seeds has been shown to improve the functioning of the immune system. There are many possible reasons, including the fatty acid profile and the phytonutrients, but also the presence in the seeds of globulin proteins, which are needed to have a fully functioning immune system. The seeds, oil, and milk all provide this immune-boosting benefit. Brain Health: The fatty acids that are in hemp seeds and hemp oil are known to help benefit brain health. They play an important role in the brain and have been found to be lacking in the brains of patients with diseases like Parkinson’s and Alzheimer’s. Diets rich in the fatty acids found in hemp, especially the ideal ratio of omega-6 to omega-3 fatty acids, have been proven in research to reduce or delay the symptoms of these brain diseases. Weight Loss: The nutritional content of hemp seeds is such that they leave you feeling full and satisfied. The combination of fats, protein, and fiber are a powerhouse combination for feeling full. If you are trying to lose weight or maintain your weight, adding hemp seeds to some of your meals is a great way to help keep you from feeling hungry later in the day. Phytosterols: Phytosterols are compounds found in some plants that resemble cholesterol. Research has proven that consuming these compounds can lower the amount of LDL, or bad, cholesterol in your body. Hemp seeds naturally contain high levels of phytosterols. There is also some evidence that phytosterols can help protect against cancer by stopping the growth of cancer cells and even actively helping to destroy them. Diabetes: If you are diabetic, eating hemp seeds can help to regulate your blood sugar levels. The fatty acids in hemp are known to regulate blood sugar, keeping levels in the blood on an even keel. Even if you are not diabetic, maintaining an even blood sugar level is beneficial. What are the different forms of hemp that can be eaten? You can buy hemp seeds, which are the whole, unprocessed seeds. You can buy hemp nuts, which are the hulled seeds. You can buy the oil that has been pressed from the seeds. The oil can be purchased in supplement form as well. You can also get hemp as a flour, which is the ground seeds or the milk which comes from the pressed seeds. Additionally, you will find products, like breads, granola, pasta, and others, that contain hemp as an ingredient. What do hemp seeds taste like? Hemp seeds have a nutty, slightly sweet flavor. Some describe them as tasting a little bit like pine nuts, but milder. The oil has a similar flavor and is greenish in color. It looks similar to olive oil. Can you cook with hemp oil? Using hemp oil to fry or sauté is not recommended. Heating hemp oil too much can cause the good fats in it, the polyunsaturated fats, to be converted into compounds that are not healthful. Use hemp oil in cold or warm dishes. The seeds can be lightly toasted or baked in breads at lower temperatures. What is hemp protein powder? Hemp protein powder is the end stage of the processing of hemp seeds. The whole seeds are pressed for oil, leaving behind a hemp cake. The cake is then ground into a flour, which is used in many products like baked goods. The flour can then be processed further to make the protein powder. Much of the fiber and healthy fats have been removed at this point. The whole seeds are much more nutritionally sound than the protein powder. Also, the powder may have added ingredients. How much hemp should I eat in a day? Between three and five tablespoons per day for an adult is adequate, while the same number of teaspoons is a good amount for a child. For all of my smoothies featuring this wonderful superfood – hemp smoothie recipes. I’d love to know if you use hemp in your smoothies and what health benefits you have experienced – please tell in the comments below. Your local health food store should carry a variety for hemp products. If you want to purchase them online, I recommend Mountain Rose Herbs or Live Superfoods. For more information on hemp and a plethora of products made from this wonderful material, check out Health Smart Mall. You might also recommend Nutiva for hemp products. You’re right, Karen, Nutiva offers some great hemp products. Actually, the Live Superfoods carries them. Hemp seeds naturally contain high levels of phytosterols. There is also some evidence that phytosterols can help protect against cancer by stopping the growth of cancer cells and even actively helping to destroy them. One of the many reasons to consume hemp seeds. Hello – are hemp hearts the same as hemp seeds? I have used them in several different smoothie recipes (thank you for those!). The hemp hearts no longer have the shell. For smoothie purposes, yes. Shelled hemp seeds are the same as hemp hearts, which is what you want to use in smoothies. Great article Ryan! My entire family is using hemp products now, mostly from Nutiva, and we love the protein. On the national front, Atalo Holdings is a Kentucky-based group that has been leading the way in legalization from 25 years. Now we’re in testing mode and developing seed varieties and organic practices so this super food can be raised and processed in the USA! Fantastic, Arthur! Growing hemp in the USA is long overdue. Thank God Almighty that lead me to Robinson who with his humanitarian heart help my son that had cancer of the brain with his Hemp Oil, am so grateful that my 21 years old son is back alive and healthy, His medication is the only cure for cancer, tumor and from the bottom of my heart, I sincerely say he is the best, i now believe that the Hemp Oil is real and True, for all those who have problem relating to cancer and other diseases should contact Robinson Buckler ON:robinson.buckler@yahoo.com for help i am assuring you that he is going to put an end in any type of cancer you are having. She does get some anxiety attacks. She is 85 years old please help with any ideas. Hemp has so many great benefits! It’s interesting it’s so easy to digest. The smoothie recipe sounds wonderful! I’ll have to try it soon. Do try this smoothie and let me know how you liked it, Kaitlyn. I tried to put shelled hemp seeds in my smoothie but they didn’t blend and were hard as rocks. Did I do something wrong? 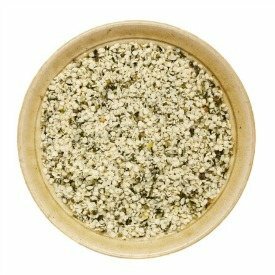 Shelled hemp seeds should be quite soft and easy to blend. Did you maybe have unshelled hemp seeds? Can we use hemp oil in the smoothies? I currently rub it on my hands and knees and it stops the pain instantly. If the hemp oil is suitable for internal consumption I don’t see why not, Tasha. Follow the recommended dosage when adding to smoothies.